TORONTO, ON – Great Lakes Brewery has announced the release of their take on one of the newest styles to come out of the American craft brewing scene. Brut IPA is a style being forged by innovative brewers out it San Francisco. It is designed as an answer to the sweeter, juicier and sometimes sticky haze-craze from the East. Bruts are highly carbonated and fermented so dry that almost no residual sugar remains. Which may all seem somewhat odd. Sugar is perhaps the most important molecule for life on earth. And, without forgiveness, Brutalism breaks down our greatest reason for being. It turns light to darkness, happiness to sadness and life to death. And what’s left is a raw, strikingly hoppy and wonderfully morbid/increasingly crushable brew. 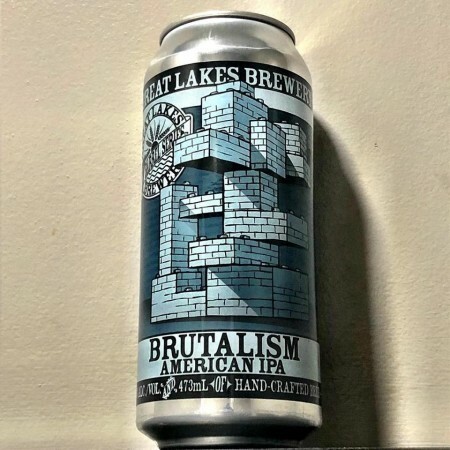 Brutalism is available now in 473 ml cans at the Great Lakes retail store.